Months after the 2016 presidential election, a majority of educators polled say that national politics have created a sharp divide among students, leaving teachers grappling with how to handle classroom conversations about controversial issues. President Donald Trump’s win last November over Hillary Clinton capped the most divisive presidential election in recent memory, and the first few months of his tenure have been marked by controversy. In addition, a number of issues have made their way into the classroom as current events, including immigration; lesbian, gay, bisexual, and transgender rights; and issues related to race, religion, and gender. 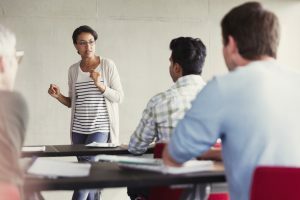 While most teachers said that it’s important to talk about these topics in the classroom, 42 percent noted that it was difficult to discuss national politics with students. Alethea Patterson-Jahn, the head special education teacher at an Albuquerque, New Mexico, middle school, recalled seeing a student tell another that Trump would deport the student’s father. While 55 percent of teachers said they have not avoided discussing controversial current events with their students this school year, another 28 percent did avoid talking about national politics with their students. Smaller percentages of teachers have refrained from discussing politically charged topics like LGBT issues, race and religion. Twenty-six percent of teachers said they did not discuss any controversial events with their students because the topics are not relevant to the subject area they teach. That’s the philosophy of Robert Williams, a 4th grade teacher in Delano, California, who teaches mostly Hispanic and Filipino students. Other reasons that teachers chose for veering away from controversial topics include wanting to avoid dissension in the classroom, knowing that their personal views are not in line with students’ views and not knowing how to handle such discussions in class. Still, she said, it’s critical that civil discourse happens in the classroom. “If, as educators, we’re not going to model what it looks like to talk about politics, … we’re not supporting what is an essential democratic practice,” she said. For the most part, teachers seemed to agree. Almost 70 percent said it was important to discuss national politics with students — a little less than the 79 percent who said it was important to discuss race and ethnicity and the 75 percent who think it’s important to discuss immigration with students. In interviews, teachers cited the rise of fake news as a reason for talking about politics in class — they felt a responsibility to help their students learn how to critically evaluate what’s on the internet. When asked where they did receive guidance or ideas, just 40 percent cited their fellow teachers, administrators, and other staff members; 27 percent said news articles; 17 percent cited curriculum from social justice organizations like Teaching Tolerance; and 13 percent said they drew from their own experience and common sense. The majority of survey respondents — 61 percent — voted for Clinton, while 17 percent voted for Trump, 12 percent voted for a third-party candidate, and 10 percent did not vote at all. While the survey does not statistically mirror the nation’s teachers, the respondents’ hail from geographically and demographically diverse school districts. 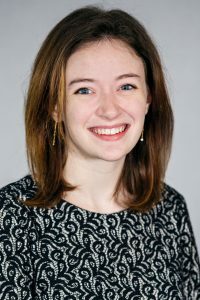 Madeline Will is the assistant editor for Education Week Teacher and a contributing writer for Education Week. She writes for the Teaching Now blog.